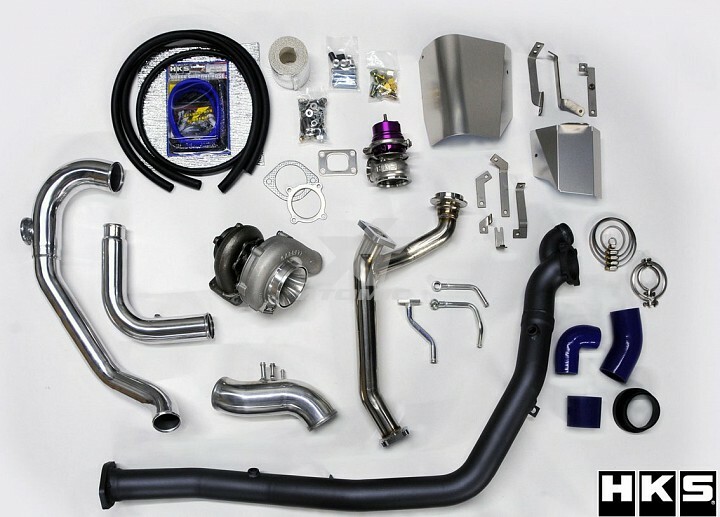 HKS Full Turbo Kits offer unsurpassed performance and craftsmanship from a full turbo upgrade for factory turbocharged vehicles. 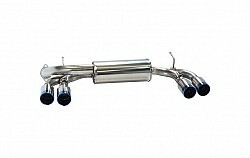 These kits consist of new, larger HKS designed turbos, new precision crafted exhaust manifolds, HKS poppet-style external wastegates, flanged exhaust downpipes, and all associated hardware for a complete and detailed installation. 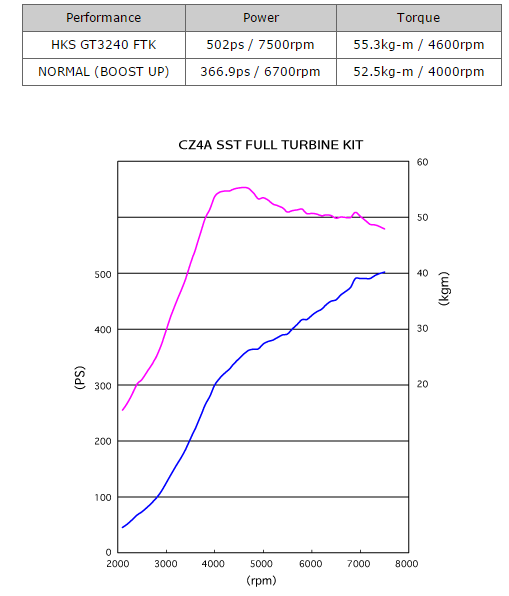 HKS Full Turbo Upgrades are designed and sized to promote phenomenal top end horsepower and a good range of response throughout the RPM band for the amount of airflow. From the HKS precision crafted exhaust manifolds and downpipes to the HKS signature turbos and wastegates, each turbo kit is crafted to provide high levels of performance, quality and reliability. 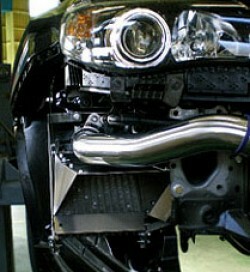 Each HKS Full Turbo Upgrade comes packaged with all the necessary hardware to provide a complete installation. 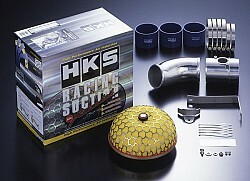 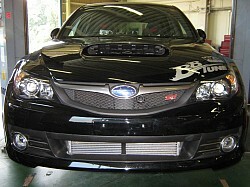 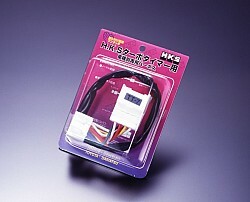 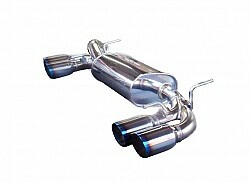 This kit will require the HKS Air Intake Racing Suction Reloaded (70020-BF010) which is sold separately.